For an interactive PDF with links to recipes, click here. 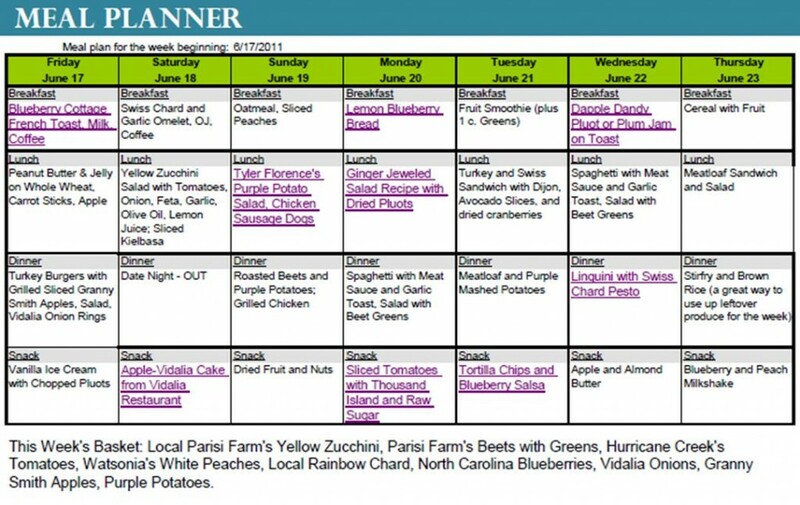 This entry was posted in Organic, Recipes, Time Management/Organization and tagged meal plan, milk and honey organics. Bookmark the permalink. I had an over-abundance of fresh blueberries so decided to try the lemon blueberry bread. Mmm….that is an awesome recipe that is no officially one of my favorites. The only problem is that I had difficulty not eating half the loaf! !